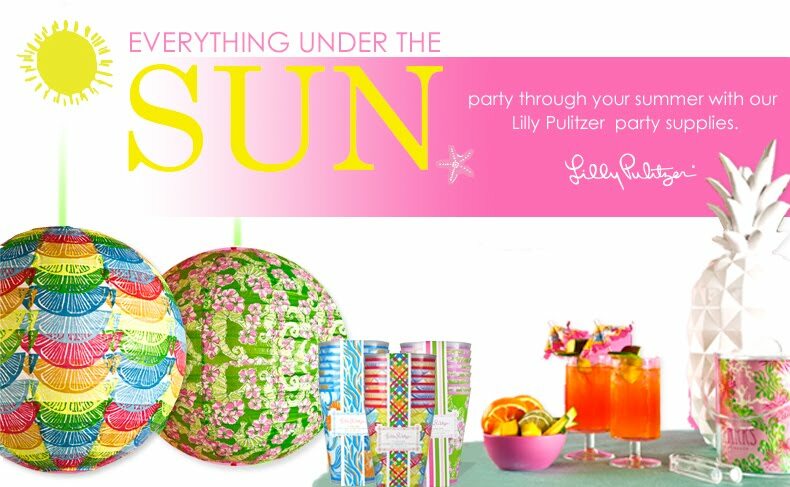 Clemson Girl: Razzberry Fizz Lilly Pulitzer giveaway! 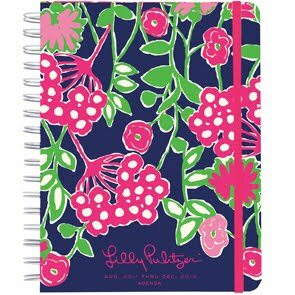 Razzberry Fizz Lilly Pulitzer giveaway! Good morning ladies! We are excited to have the opportunity to bring you a fabulous giveaway from the fabulous ladies at Razzberry Fizz - a store in downtown Clemson whose motto is "Gifts that motivate, celebrate & encourage!". Razzberry Fizz carries one of our favorite brands, Lilly Pulitzer. 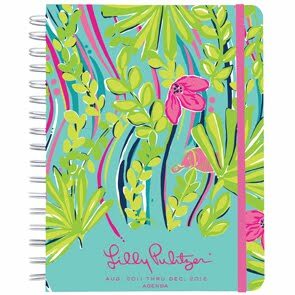 They are getting lots of brand new Lilly items in, including these fun agendas - available in four different lovely patterns. How could you pick just one? I love them all. The Lilly agendas are perfect for keeping your hectic life organized while adding some fun as well. 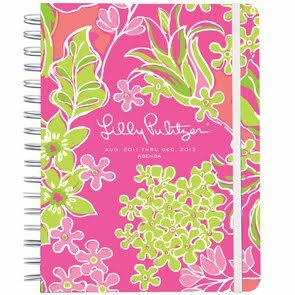 These Lilly Pulitzer agendas are very popular, so make sure you stop by Razzberry Fizz and reserve one of your own before they come in. Don't live in Clemson? No worries, you can call Razzberry Fizz to place your order --> (864) 654-7722. You can also shop Razzberry Fizz online. 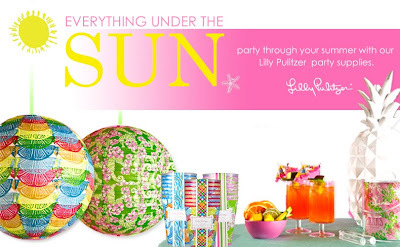 Razzberry Fizz carries a wide selection of Lilly gifts in addition to these agendas, like these Lilly Pulitzer party supplies - complete with cute paper lanterns in fun Lilly patterns! Earlier this week we posted about Dabo Swinney's Ladies Clinic that will be held July 23rd... Razzberry Fizz will have a table set up again this year, selling all of their great items. The shopping section of the Ladies Clinic has been changed this year - all of the 'stores' will be set up inside around the concourse at Littlejohn Coliseum (Hooray! No more sweaty shopping this year). :) The shopping will start at 7:15am - so get there early so you can get the best items before they sell out! Razzberry Fizz would like to give one very lucky Clemson Girl reader her very own Lilly Pultizer prize package. This prize includes a fun market bag using recyclable material (cute enough to be a pool or beach tote! ), a Lilly Pulitzer picture frame and thermal mug. 1. Post a comment on this blog post with your first name, last initial, and where you are from. 2. Share this post on Facebook, then post another comment letting us know you shared to get another entry. 3. 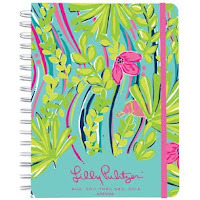 Visit the Lilly Pulitzer agenda album on Razzberry Fizz's Facebook page and comment "Clemson Girl sent me!" 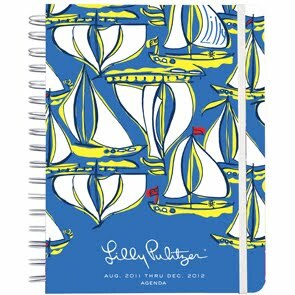 on your favorite agenda pattern's photo to get another entry. 5. Email a link to this giveaway to two friends (and copy us - clemsongirlblog@gmail.com) to get another entry. Deadline for entries is tomorrow, Friday, July 8th at NOON EST. We will compile the entries, randomly draw a winner, and post the winner's name back to the blog tomorrow afternoon. The winner has until next Tuesday at NOON to contact us to claim the prize. Good luck! Thanks to Razzberry Fizz for sponsoring such an amazing giveaway. commented on LP's FB page! Shared the post on FB as well! Caitlyn T, I shared this on Facebook! I love this blog - sharing on Facebook too! Allison A from Lexington SC loves The Fizz and Clemson girl. Love everything about your blog.. From Cincinnati, Ohio and read up and visit Raspberry Fizz to keep me cool and preppy (not too much going on for us in the Midwest!) Thanks for brightening my day with your lovely posts!! April V, from Walhalla SC. April V - voted on my fave. shared on FB and tweeted. Love Clemson Girl and Lilly Pulitzer. Southern girls are the best. 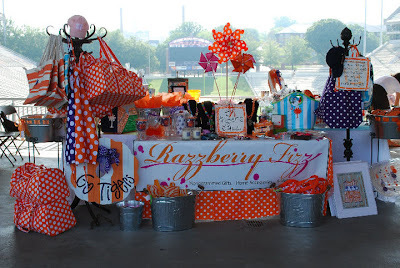 I can't wait to shop Raspberry Fizz at Dabo's Ladies Clinic! Shared on Facebook, AND commented on the album! Shared the post on Faebook! I posted on facebook, too.